Alaa Yousif | Are You Ready for a Smart Home? Who can believe that 2018 is actually already here and that nearly a quarter of it is gone? And does it feel like technology has reached its peak? There’s still room for more that’s for sure and some of us still have a lot of catching up to do in applying that technology to our daily lives, let alone applying it to our homes! It’s worth looking at where technology is taking us and see who is ready for that type of change. 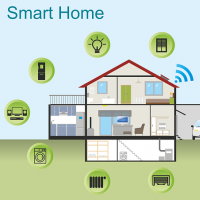 Smart living in smart homes is definitely one of the intriguing advances humans have reached so far. “Smart” doesn’t only mean technology, it means energy-efficient and being in total control of everything electrical in your home. And also turning everything electrical in your home so you can control it! First, let me define the term for you. 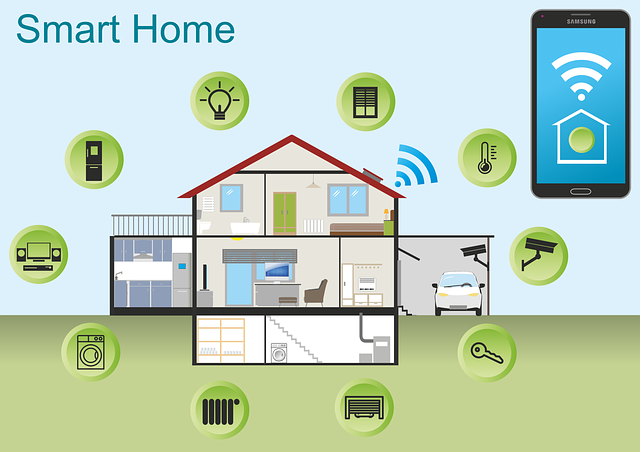 A smart home is about having the right technology that allows you to remotely control the lighting, heating, ventilation, air-conditioning, security, entertainment devices, and home appliances through the internet. You can either be physically present at home, or outside at work or running errands to be in total control of your smart home. It’s Actually Simpler Than You May Think! Learning to use it is very simple and doesn’t require learning an extra set of skills. If you know how to use a television remote controller, you will know how to use automation for your home. You can hire specialized personnel to come and make all the necessary setups and installations, and they will give you all the basic pointers you may need. Are Your Utility Costs High? Then you should DEFINITELY make your home smarter! Did you know that utility prices have risen an average of 80% the past few years? Installing smart home devices will help reduce waste, which will decrease your bills. Imagine this, instead of keeping your heater (or even air conditioner) on when you are not home, you can program or control your window blinds to open and shut according to what type of temperature you want to maintain. Its that simple and efficient. Do you go on frequent vacations? Or even one vacation a year? Do you have plants that need certain care while you are away which can only be done either by you or a smart technology? Then certainly a smart home technology would help a lot. You may simply be looking for convenience, which is a very relatable concept these days. We want simpler things, simpler approaches, and a smart home falls into that category. I hope I gave you some insight about smart homes, my door is always open for your questions.